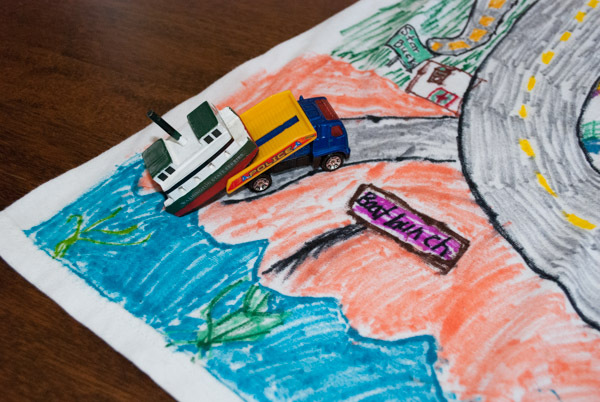 A Father’s Day gift involving back rubs, toy cars and his kids? What’s not to love? 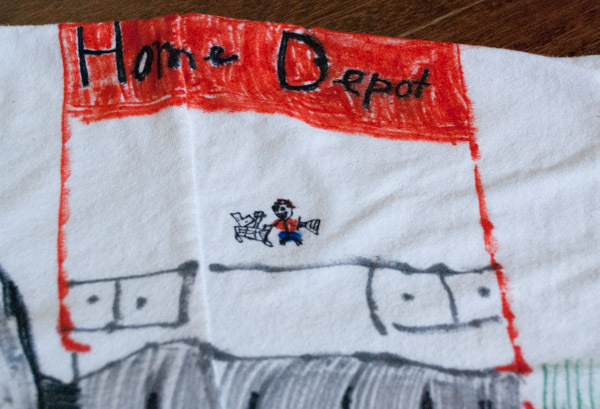 Here’s a practical, homemade gift for Dad that involves back rubs and toys cars. 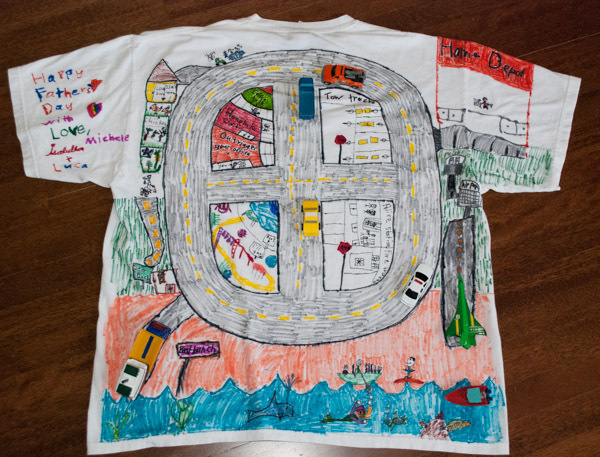 Have the kids design a roadmap on a t-shirt and color it in. 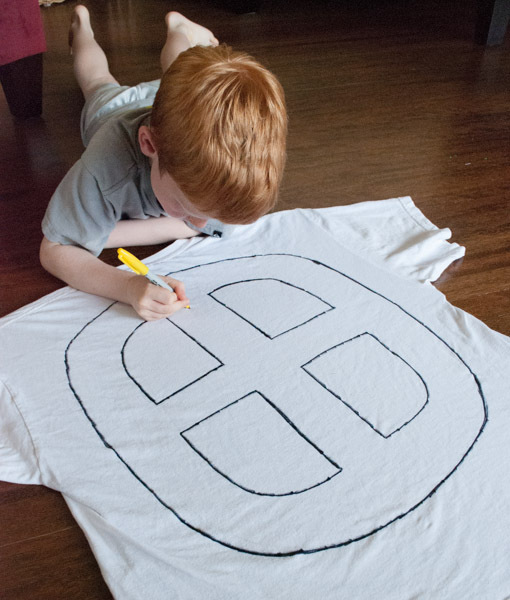 Invite Dad to put it on and lay on his tummy. 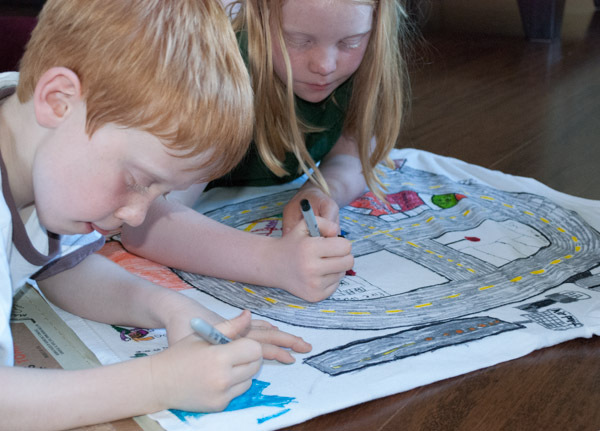 The kids can drive cars and trucks all over Dad as he relaxes on Father’s Day. 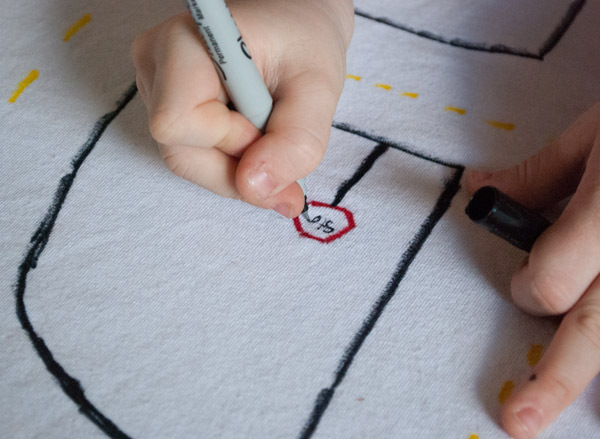 I saw this idea floating around Pinterest at Christmas time but decided to save it for Father’s Day when we’d have more time to work on it together. It did take a few work sessions, because my kids wanted to keep adding details, but it can be done in an hour or so. 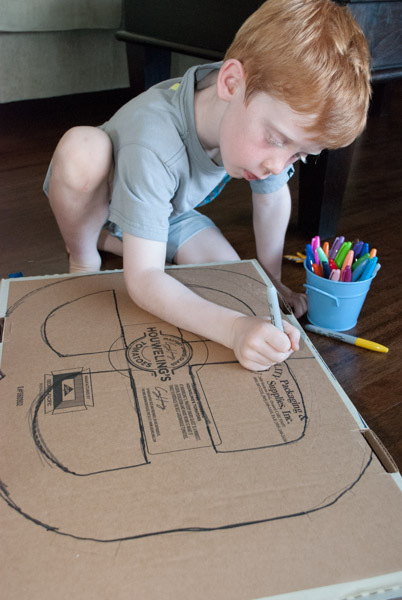 We already had the t-shirt and Sharpies – all I had to do was pick up a large cardboard box from Costco. 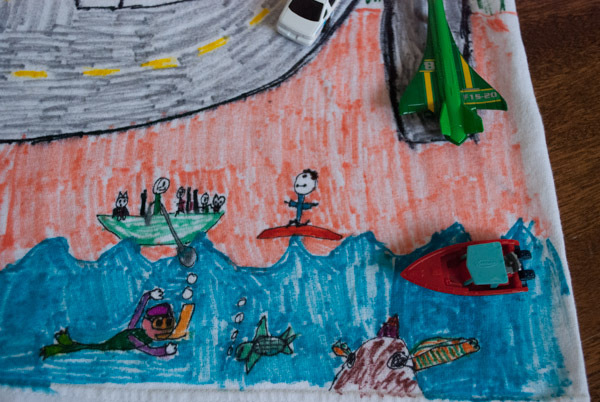 Luca wanted a road down the spine and Isabella wanted twists and turns, so we compromised. 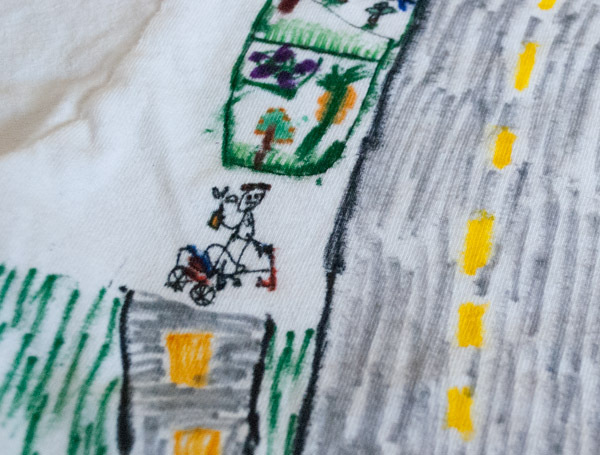 We drew the road on the cardboard first, then on the t-shirt in pencil, then traced it with a Sharpie. 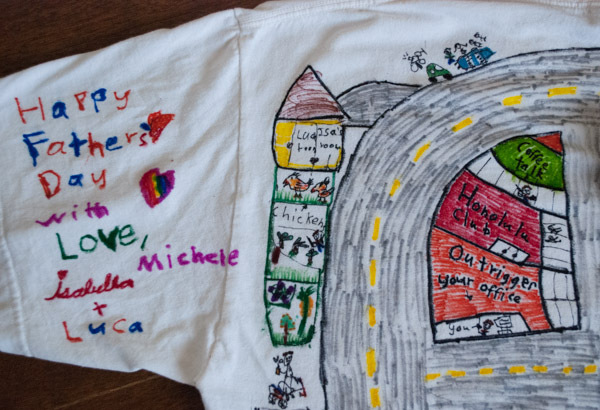 After that, the kids drew directly on the t-shirt with the Sharpies. 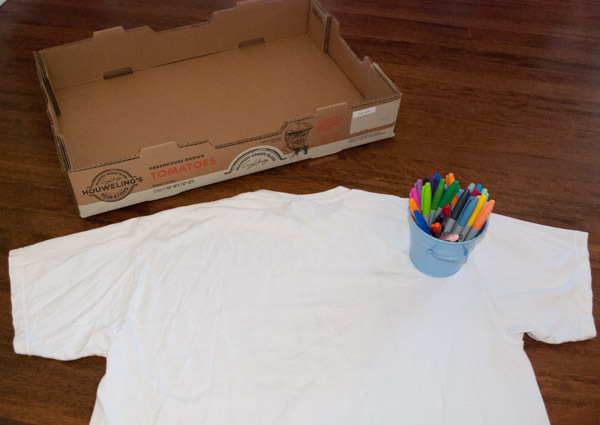 Place a large piece of cardboard inside the t-shirt. This will protect the front so the colors do not bleed through and will provide a nice flat surface for drawing. 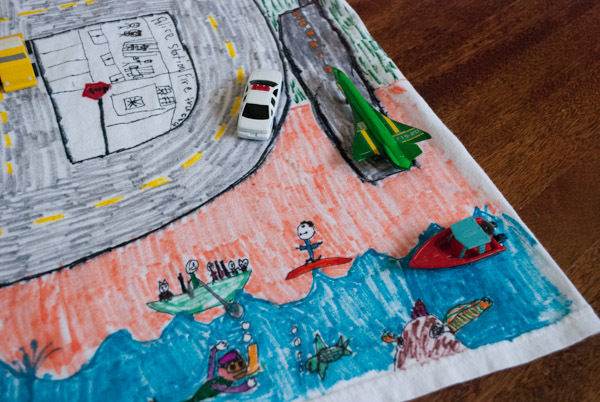 Have your kids design possible roadways on paper first. 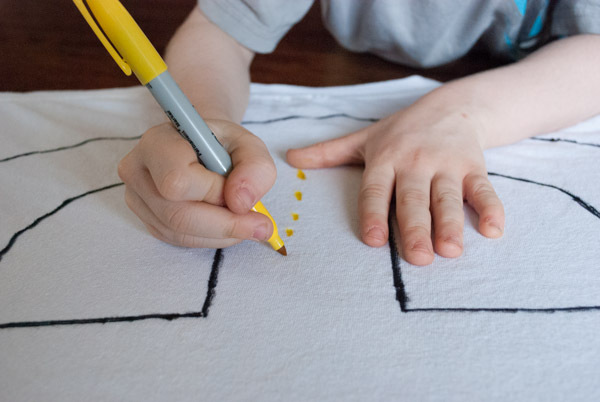 They can draw their final version on the cardboard, then use that as a guide when drawing on the shirt. Brainstorm ideas of places to draw along side the roads. 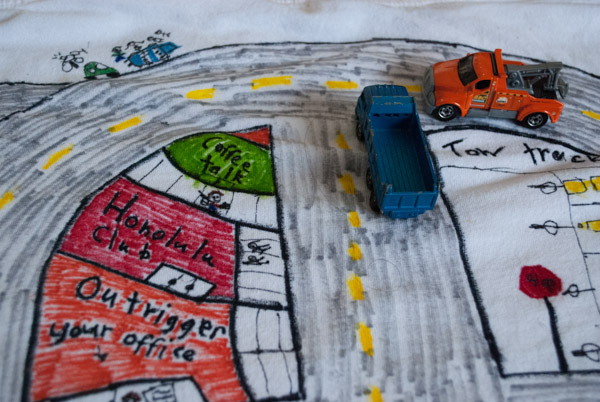 Wrap up the t-shirt with a few cars and trucks and you have yourself a homemade, practical gift for Dad! 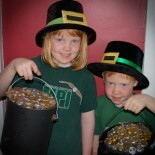 I’m not sure where I saw this idea first, but I know pikandgreenmama.blogspot.com has it on her blog, which I visit frequently. 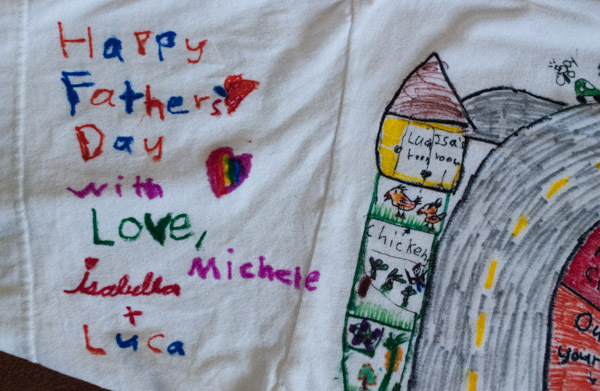 This entry was posted on May 27, 2013 by mdaucello in Crafts, Father's Day and tagged back rub, backrub, craft, Father's Day, Sharpies, t-shirt.